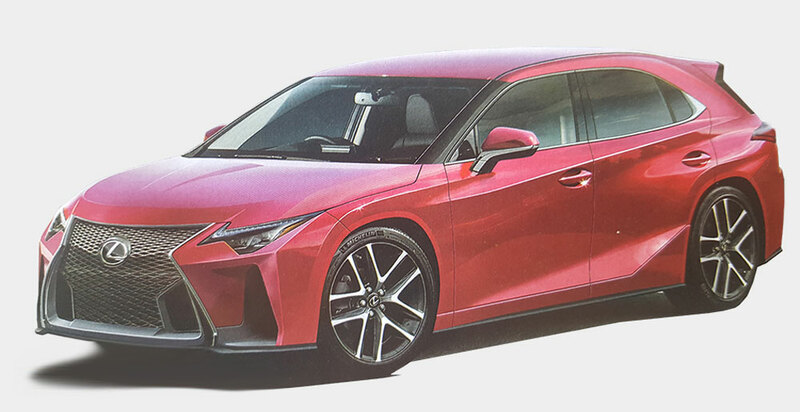 New Rumor: Next-Generation Lexus CT to be Hatchback & Crossover? Best Car copies the top-mounted daytime running lights first seen on last month’s rendering from Mag-X, but the numerous F-brand design cues give this rendering a convoluted look. This takes the NX-influence of the hatchback and bumps it up considerably with plastic fender panels and roof racks. There are some engine rumors to go along with the renderings, with Best Car suggesting the hatchback/crossover will be getting the Prius 1.8L hybrid engine, a newly developed 2.0L naturally aspirated engine, and the 8AR-FS 2.0L turbo. And just how likely is this story? Lexus has long avoided the German luxury brand strategy of multiple variants based on the same model, and the result is a very focused, less confusing product lineup with only minimal design overlap. Still, entry-level luxury is a deep and prosperous segment of the automotive market, and branching the CT in two directions would be an efficient way to cover the most ground. What do you think — should Lexus release the CT as both a hatchback and a crossover?